Baking cookies to express gratitude is a wonderful idea. But, right about now there are probably a lot of readers out there who are saying, "But, I'm no baker." It is okay if you have never baked before; I shall share 3 easiest to make cookie recipes you have ever seen. I'll start with the simplest, but they are all pretty easy to make, because they are all drop cookies--you just drop them on the pan, without bothering to shape the dough or anything. I will also comment on using them to say thank you , share with you tips, tricks, and advice to make them better, and give you step-by step directions to make each variety of cookie. This is probably the easiest cookie to make of all 3 varieties presented here. You do not even need an oven to bake these; however, you will need a stovetop to bring certain ingredients to a boil. My mother and I do not alter this common recipe that can pretty much be found anywhere; however, as the two of us are so practiced at dropping cookies and candy we find it much easier to scoop up a lot of batter with a large cooking spoon and drop multiple cookies before scooping more batter out of the bowl. But, do not do this unless you have a reasonably practiced hand. Since these cookies are so easy to make, it takes only a little bit of effort to whip up and offer these as a way of saying "thank you", you should make the effort and write a thank you note. Even though you can certainly offer these in place of a thank you note, I recommend including a handwritten or typed note to be delivered with these, because making them is a breeze--as long as you follow the directions below. This recipe makes about 4 dozen cookies, but of course how many it makes depends on how much dough you drop per cookie. Boil sugar, cocoa, butter, and milk together in a saucepan for two minutes. Remove from stove and add peanut butter, oats, and coconut (if desired). Mix well before dropping by teaspoon sized amounts onto a cookie sheet covered with wax paper. In all my recipes that say mix, beat, blend, or stir I mean you should use an electric hand mixer (unless otherwise specified). As cookies do not bake and spread out, you do not need to space them very far apart. Once sheet is full, place it in the freezer to harden. Out of all 3 of these recipes this one seems to be the one that my mother and I have altered the most. 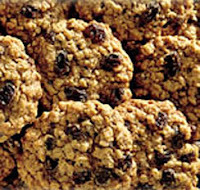 First of all, we strongly recommend using the steel/cut oats to make the cookies crunchier. 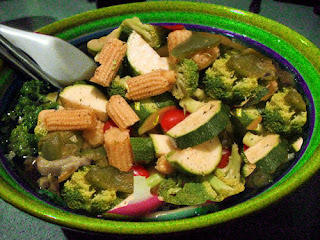 For even more crunch, add the chopped walnuts; but, do remember not to add nuts if you are thanking someone you know has peanut allergies. Also if you intend to send a typed or handwritten thank you note with the cookies make sure to mention if they have nuts. Another way we alter the recipe is by not chopping the raisins; when the original recipe was published in The Kansas-City Star it called for the raisins to be chopped in half, but we have found this to be unnecessary. Although we have increased the amount of raisins (for added flavor), we still abide by the one hour soaking time (as it is necessary to make the cookies moist). Therefore, anyone wanting to try this recipe must follow all directions (below) and not plan on making a batch all at once. First, combine eggs (beat them first), vanilla, and raisins in a covered mixing bowl and let stand for 1 hour. When that is finished, the oven should be preheated to 350 degrees. While it is warming, cream butter and sugars (both brown and white) together and combine flour, cinnamon, and baking soda in another bowl. Combine dry and creamed mixtures and once those two are mixed blend with raisin mixture until all ingredients are evenly distributed. Finally, drop dough by large tablespoon sized amounts onto ungreased cookie sheet, leaving room for them to spread, and bake until golden brown (about 12 minutes, depending on your oven). Obviously, any reader will have ascertained by now that my mother and I bake avidly and as a result of this we never make single recipes of anything. However, thus far I have given single recipes for each kind of cookie to make it simpler; however, I shall deliberately offer an already tripled recipe for this type of cookie, because reporting a triple recipe is the only way I can offer a whole number for the bags of toffee bits. In other words, for a triple recipe (the recipe to the right) we increased the number of toffee bits from 3 8 ounce bags to 5 8 ounce bags. That is the only actual alteration we made to the recipe. 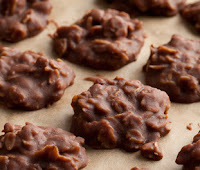 However, the recipe has a few other minor cosmetic changes; first of all, brand names have been removed from the recipe (which originally came off a package of Heath Bits O' Brickle toffee bits) and secondly terminology has been simplified (since anyone reading this post will be familiar with cooking terminology). One final tip, if (like me) you worry about getting egg shells in your batter crack eggs over and empty into another dish and once you have inspected cracked eggs for shell fragments you can dump the eggs into the batter. The recipe will yield 16 dozen cookies as long as you follow the directions below, more than enough to thank, quite a few people. Preheat oven to 350 degrees and grease cookie sheets. Beat butter, eggs, sugars (both brown and white), vanilla, and salt. After this is mixed you can add flour, baking soda, and cream of tartar. After all this is well blended the toffee bits can be added. It would theoretically be alright to dump all 5 bags of toffee bits in at once, as long as you mix well and make sure bits are fairly evenly distributed throughout the batter. However, I find it easier to get even distribution if the bits are added gradually; this tip also applies to recipes that use oats. Drop heaping teaspoons of dough onto prepared cookie sheets. Bake 8 to 10 minutes, until lightly brown, let cookies cool before removing from sheet. Always let cookies cool before removing from sheet; you really should invest in some wire racks to place cooling cookies on. Without a doubt, teaching is the most chronically underpaid profession out there and those who pursue this career objective know that they will be underappreciated, but they often choose their profession for the betterment of society and the joy of helping children learn. With that in mind, a little thanks goes a long way. For all that he or she does, who could possibly deserve a nice thank you note more than a dedicated teacher? Thank-you-notes.com offers a section on "Thank You Notes for Teachers". Your note would probably be most appropriate at the end of the school year or during Teacher's Appreciation Week (observed annually, the first full week of May). Just a note seems a trifle insufficient to recognize a teacher and all that he or she does. So, how about including an apple--the traditional fruit of knowledge? But, does a simple apple not seem a little been there, done that, boring to you? How about some nice apple bread? 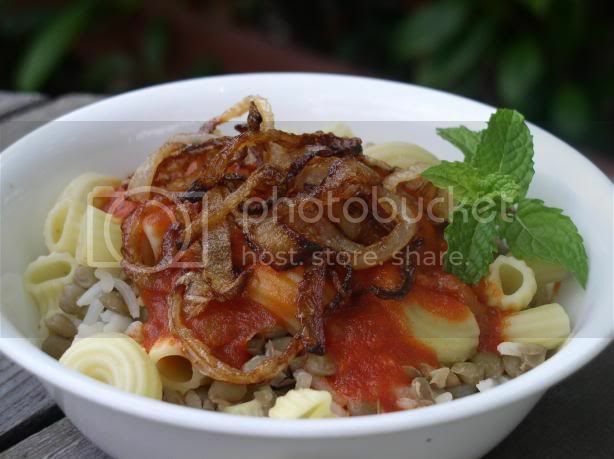 Even though the beginning recipe for this came out of American Profile magazine, my mother and I have modified it to make it even tastier. 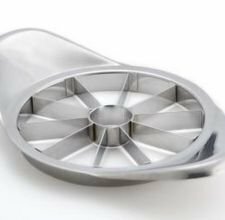 For example, the original recipe called for diced apples; however, most people have a simple gadget (like the one pictured below) that cores a peeled or unpeeled apple (it is easier to peel the apples first) and separates it into sections. Preheat oven to 350 degrees. For a single recipe, grease and flour 2 standard 9x5 loaf pans. Whisk together all ingredients, except for flour, apples and, walnuts. Make sure to mix very thoroughly before adding flour. Stir flour in only until evenly mixed, do not over mix. You can use an electric mixer for these first steps. Then stir in apples (Roma, Gale, or McIntosh apples make the best bread) and walnuts by hand, until evenly distributed throughout. 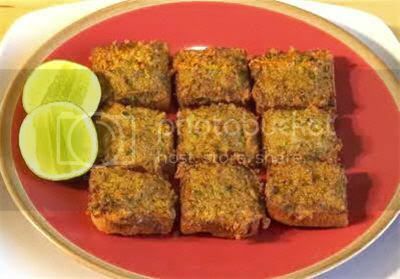 Pour batter into prepared pans and bake for 55 to 65 minutes. 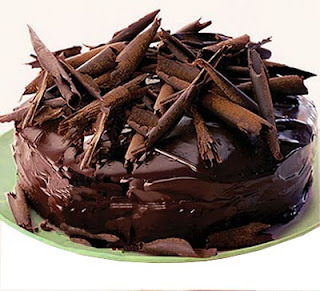 Actual baking time will vary depending on your oven, but bake until a toothpick inserted in the middle comes out clean. Make sure it is completely cool before removing it from the pan. Creating of food is a daily activity, any food that we serve will certainly make us a spirit of doing the activity, especially the healthy foods. 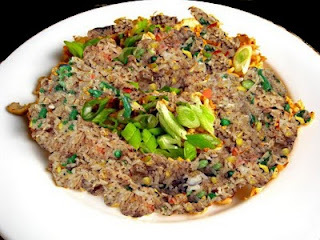 Do you like Chinese food?, I think many of us who like Chinese foods, because beside delicious, Chinese foods make us healthy with the vegetables menu. 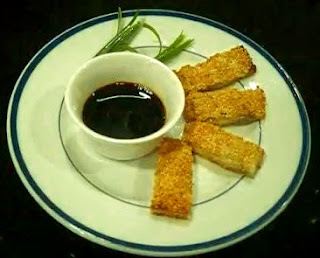 Here in Meal ideas blog now will present a Chinese recipe namely is shrimp toast, I present this menu with chinese style. maybe you will like it. You can serve for breakfast with your family or your home alone with the begin of the first activities is to make a shrimp toast with your own hands at home. shrimp with fingers to flatten. 4. Cut egg yolk and ham into 1/2 inch pieces. Finely chop onion. chopped onion on each shrimp. 5. 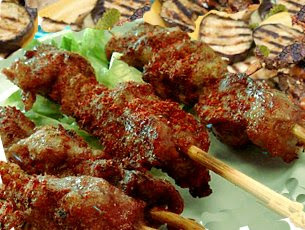 Heat oil in wok over medium−high heat until it reaches 375F. 1 to 2 minutes on each side. Drain on absorbent paper. 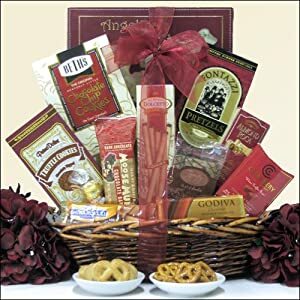 If you are looking for a great chocolate gift basket for valentine's day gift. 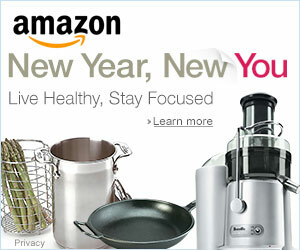 if you buy in amazon.com The basket arrived very fast, was packed great, and the presentation and variety in the basket was the best! 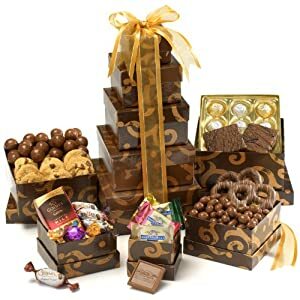 Based on the experience someone he always receive wonderful responses, and have often shared these wonderful chocolates. 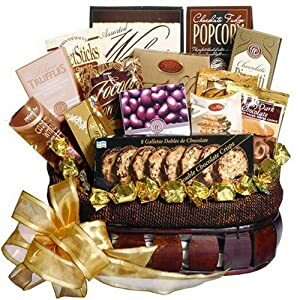 You can sent this basket a number of times to family and friends. got this for a friend. Give your her loved it. It arrived quickly and in good shape. Very good purchase. If she is a chocolate fan. If you have a wife this for your wife for Valentine's Day, your wife will loved it. My now-fiance proposed to me at Lucas Vineyards in New York, and they were so great, coordinating the whole thing...we sent them this as a thank you gift. We got a very enthusiastic thank you letter from them...apparantly, they loved this basket! 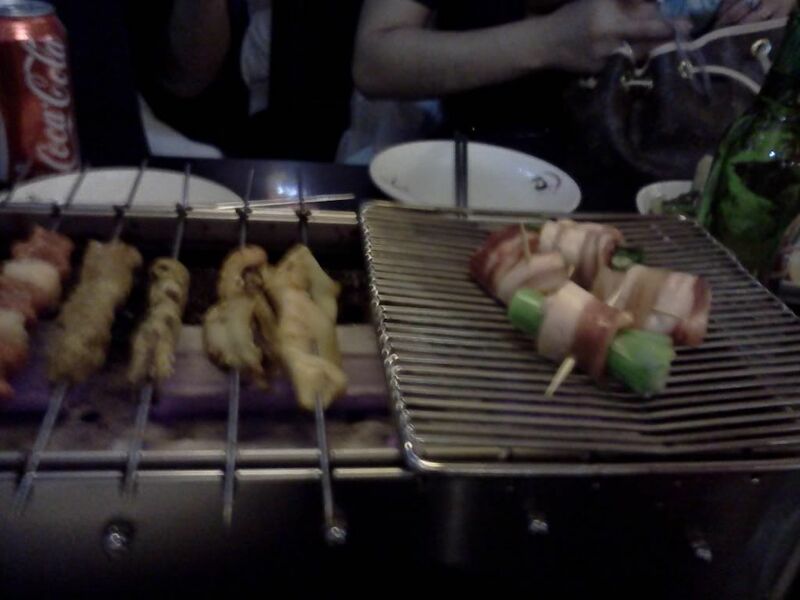 I'd get this again. 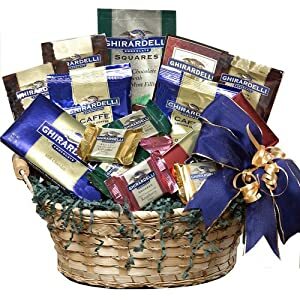 Sampling of some of Ghirardelli's finest chocolate confections beautifully present in a keepsake gift basket. This delightful selection of quality chocolate goodies made a big impact on day and provided the whole family (7) with a variety of irresistible temptations which proved far too difficult to exercise any kind of self-control over. It took less than two days for everything to be inspected, anticipated, eaten and discussed and now it appears that this is a requirement for all occasions and celebrations. Highly recommended for those without a nervous disposition concerning their wastelines but who love excellent chocolate treats. My mother, a real chocoholic, was the recipient of this gift. She loved the Godiva and was very pleased with the truffles as well. This tower, however, is only 13 inches tall! design of the gift boxes as well. "Each box had a new surprises - like getting 5 gifts in one". Everything was good - The product arrived on time and was of good quality. I ordered just a few days before celebrate so I was worried that it wouldn't arrive on time but luckily all went well. My gift recipient was very very happy with this gift basket. All the goodies are gone, but she's still talking about it. Highly recommended. The recipient of this basket was very pleased with it and described it as "gorgeous". She said the contents were high quality and the basket itself was very nice and that she would find good use for it in her home. The only issue I might have is the delivery time was slow, but I think that was more on the UPS end of things vs. the supplier so I will still give it 5 stars. Or you can chooce for valentine's day gift ideas below.